Have you ever been in a crowd and couldn't help but overhear someone else's conversation? Perhaps you were in line at a store and heard a parent admonish their child. Or maybe you were in a booth at a restaurant and overheard a couple arguing. We've all found ourselves at one time or another as a fly on the wall, where we couldn't help but listen to a private conversation. As an outsider, it's easy in such situations to see exactly where someone else's conversation derailed and crashed. When we're not part of the conversation, we can pinpoint where one person's comments made the other person defensive or where both people completely passed each other in understanding what the other meant. While it is easier to see the routes other people take that bring their conversations off course, it doesn't mean we can't learn to identify errors in our own. In fact, the more we develop insight into our conversations with others, the better our communication will be. One area we should be on the lookout for is the assumptions we make in our conversations. We all come to our conversations with previous assumptions and we respond to one another out of those assumptions. Often, those assumptions lead to derailment in our communication with one another. What are some of those assumptions?...to read the rest of this post, visit For the Family, my writing home for today. It’s amazing how a small thing can become a big thing. A small spark can cause a huge fire. An invisible virus can make thousands sick. A slight turn of the rudder can take a ship off course. A dash of the wrong spice can ruin a recipe. And the tongue, though small, can destroy with just a word. That’s what James teaches in James 3, “And the tongue is a fire, a world of unrighteousness. The tongue is set among our members, staining the whole body, setting on fire the entire course of life, and set on fire by hell” (vs. 6). The tongue can be a sharp weapon. It can weaken, wound, and break a relationship. Unlike a real weapon, it lies hidden and strikes just when the victim least expects it. After repeated jabs over the course of time, a person is left defenseless and broken. 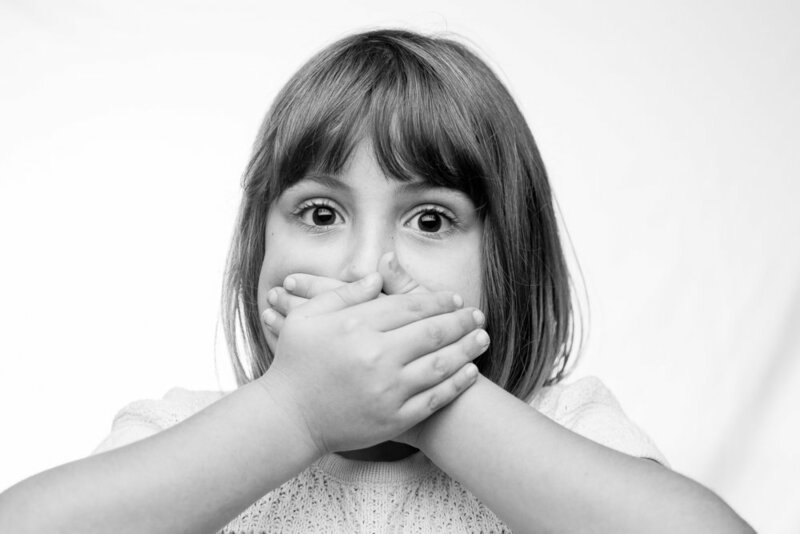 Much of the book of Proverbs talks about the power of the tongue (over a hundred times!). “There is one whose rash words are like sword thrusts, but the tongue of the wise brings healing” (Proverbs 12:18). “A soft answer turns away wrath, but a harsh word stirs up anger” (Proverbs 15:1). “Death and life are in the power of the tongue, and those who love it will eat its fruits” (Proverbs 18:21)...to read the rest of this post, visit For the Family. We were in the car late one afternoon and my children were doing their normal back and forth sibling thing in the back seat. (I would call it "bickering" but was told by someone in my family that "bickering" is an old-fashioned word). I grew frustrated by their behavior. Then I got sarcastic. Later, after returning home, I noticed my children were irritable. One was downright angry. I finally got them to talk and learned that my sarcastic comments hurt them both. I apologized and they forgave but the exchange was a glaring reminder that I do not have control over my tongue. And because I don't, I hurt my children. James says that though the tongue is small, it is very powerful. "So also the tongue is a small member, yet it boasts of great things. How great a forest is set ablaze by such a small fire! And the tongue is a fire, a world of unrighteousness. The tongue is set among our members, staining the whole body, setting on fire the entire course of life, and set on fire by hell" (James 3:5-6). Proverbs has a lot to say about our words as well: "Death and life are in the power of the tongue, and those who love it will eat its fruits" (Proverbs 18:21). "Those who guard their lips preserve their lives, but those who speak rashly will come to ruin." (Proverbs 13:3). "Gracious words are like a honeycomb, sweetness to the soul and health to the body" (Proverbs 16:24). I know that words are powerful. As a writer, I know words can persuade, mislead, attack, comfort, or resonate. I know that words can build up or tear down. They can open doors or slam them shut. They can connect or rip apart. They can bring hope and healing or destroy altogether. What do we do when we realize we have a problem with our words? In the case with my children, I could resolve to be kind. I could have that guilty feeling I felt propel me to curb my sarcastic ways. But like the resolve we all feel at the first of a new year, on its own, resolve isn't enough to transform our words. That's because the real problem is with our hearts. Words are one of the greatest reflections of what is going on in our hearts. Jesus said that "For out of the abundance of the heart the mouth speaks" (Matthew 12:34). James 4 says that our problems and conflicts stem from our disordered desires, our idolatry, "What causes fights and quarrels among you? Don’t they come from your desires that battle within you? You desire but do not have, so you kill. You covet but you cannot get what you want, so you quarrel and fight" (vs. 1-2). A struggle with words reveals what we really love most. It reveals what we worship, what we've set our hearts on. Unkind words are not the problem but a byproduct of the real problem: idolatrous hearts. Deep down, we want life to be all about us. We want to be on the throne of our lives and have everyone else serve us. Our words reveal our selfishness, pride, self-righteousness, and envy. They show our desire to rule our own kingdoms. And above all, they reveal that God is not first place in our hearts. "There is no escaping the message of Scripture: word problems are heart problems. There's an organic consistency between what is in my heart and what comes out of my mouth. The struggle of words is a struggle of kingdoms; a war between the kingdom of self and the kingdom of God. The kingdom that rules your heart will dictate your words." (Kindle edition, Location 633, 641). When our words hurt others, what we need is the same thing we need for all sin in our life: God's amazing grace. We need his grace, through the person and work of Christ on our behalf, to forgive us, cleanse us, and make us new. We need the surgery spoken of in Ezekiel, where we are given new hearts, hearts that desire God above all else. This new heart is what we've been given through faith in Christ. "Therefore, if anyone is in Christ, he is a new creation. The old has passed away; behold, the new has come" (2 Corinthians 5:17). One of the main ways God is doing the work of new creation in us is through the ministry of his Word, applied by the Spirit. Not only do we come to faith through the hearing of the Word (Romans 10:17) but we are changed and transformed by the Word as well (Hebrews 4:12, John 17:17). It is God's active and living Word that cuts deep into our heart, reveals our sin, points us to truth, and transforms us from the inside out. In doing so, God's Word shapes our words. Sinclair Ferguson wrote, "The more I awake in the morning and feed myself with the Word under a biblical ministry, the more the Word of Christ will do the sanctifying work in me and on me, and consequently the more Christ will train my tongue as his Word molds and shapes me" (The Power of Words and the Wonder of God, Kindle Location 1008). That's why David wrote, "I have stored up your word in my heart, that I might not sin against you" (Psalm 119:11). The more we dwell on God's Word, the more it overflows into the words we say. Just like our children often repeat what they hear us say, the more we listen to the Word of God, the more we will sound like him in our speech. And the opposite is true, if we have been distant from the Word, neglecting the Word, we can expect our own words to change to reflect whatever our hearts have turned toward. Because word problems are heart problems, we need God's grace to change us through his Word applied to our hearts. We need to be saturated by the Word until it fills every corner and crevice of our heart. Then the words we speak will reflect and sound more and more like that of our Savior, the Word made flesh. Such phrases sound nice. They make us feel helpful in saying them. They even come from good intentions. But in truth, they hold little meaning. Christians have their platitudes as well, those things we say to hurting friends and family members. Perhaps you've heard them. “God will turn this out for your good” “God doesn’t give you more than you can handle” “You should rejoice in your suffering” "Your loved one is in a better place now" "This too shall pass." Our platitudes can come from truth but are often misplaced and misused. Why are such platitudes wrong to say? Ed Welch says that such platitudes circumvent our compassion (Side by Side, p.105). Sometimes, even if a statement comes from Scripture, such as “God will use this for your good” it’s not the time to say it. When someone has just experienced a severe loss, we need to be sensitive to them. When a wound is fresh, we don’t want to add more pain to it. Even something that is true like, “you should take joy in your trials” is hurtful when someone has just learned that they have been diagnosed with stage four cancer. There is a time for speaking such Biblical truths but it’s not when the wound is new and raw and fresh. As Proverbs 25:20 says, “Whoever sings songs to a heavy heart is like one who takes off a garment on a cold day, and like vinegar on soda.” The Bible doesn’t say to rejoice with those who mourn. It says to mourn with those who mourn. Saying something like, “everything is going to be okay” is also unkind because it’s not always true. The sun doesn’t always come out tomorrow. Sometimes marriages do fail and end in divorce. People do lose their jobs and homes. The cancer doesn’t always go away and people do die. Sin and the fall are real. Horrible things happen to people. Traumatic things. Things that leave lasting, painful scars. We are not being a good friend when we tell people that everything will be okay. And when someone has lost someone dear to them, no matter how old they are, or how sick they might have been, it hurts. The grief is real. To say that it is better for their loved one to be dead is unkind. Though it's true that if the loved one was a believer, it is better to be with Christ (Phil. 1:23). But let's not forget that death is part of the curse. It came as a result of the fall. Every time someone dies, no matter how old they are, it is a reminder that things are not as they should be. All death should cause us to mourn and grieve because our world is broken and we desperately need Christ to come and make all things new. So instead of platitudes, let's sit with our hurting friends. Let's cry with them. Let's hold their hand and listen. Let's mourn with them. Let's pray for them. And let us remind them of the One who wept for them, who bled for them, who even now catches their tears, and who will one day dry their tears forever. "Were you even listening to me?" my son asked. He touched my arm and I looked up from my phone. We all know what it is like to speak to someone and then realize they haven't heard a word we said. We can tell by their body language that they are thinking about something else or simply don't even care to listen. We also know what it is like to share our thoughts with someone only to have them interrupt us so they can speak their own mind. and turn, and I would heal them" (Matthew 13:15). Listening doesn't come naturally to any of us...to read the rest of this post, visit For the Family, my writing home today.